There are a few causes that I won’t hesitate to donate to and The Buster Foundation is one of them. Pit bulls hold a very special place in my heart as I’ve owned a few myself (if you’ve been following me for long you’ve definitely seen pictures of Piglet) and have fostered a few until they found forever homes. So I was more than excited when Nicki told me she won my donated gift card, asked if I would be her Ann Arbor family photographer, and if she could bring along BooBoo (Buster alumni). Of course because pets are always family in my book! 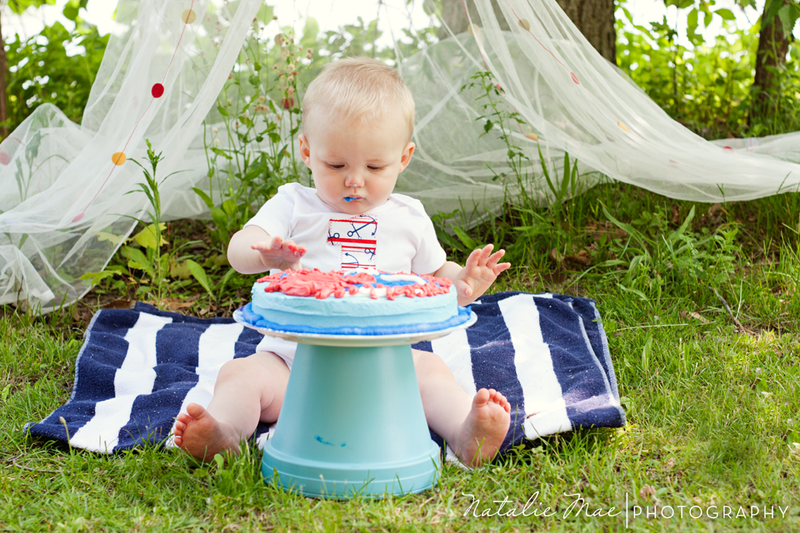 She also said that her son was about to turn one and wanted to get some photos of him to celebrate the milestone. 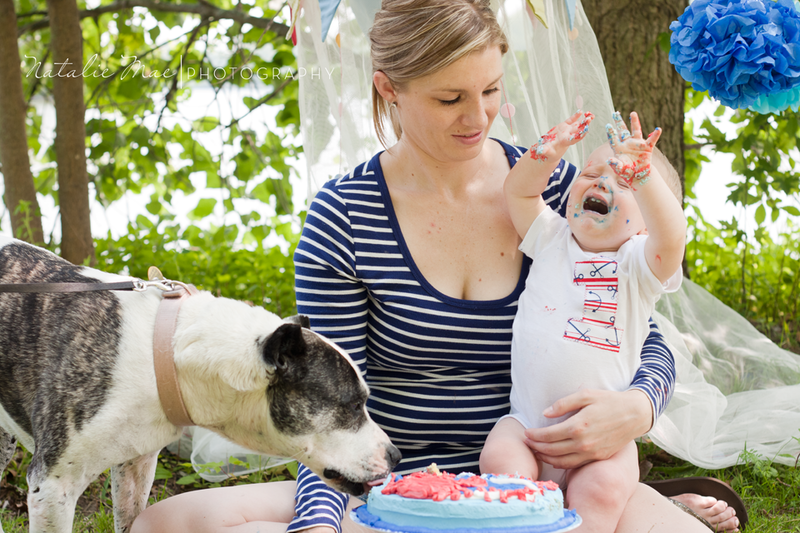 In true celebratory fashion I suggested that we do some family portraits first then end with a cake smash. We talked over the theme, I planned out the backdrop for the day, and busted out some of my own DIY skills to make things happen (I even made an Instagram video about it). 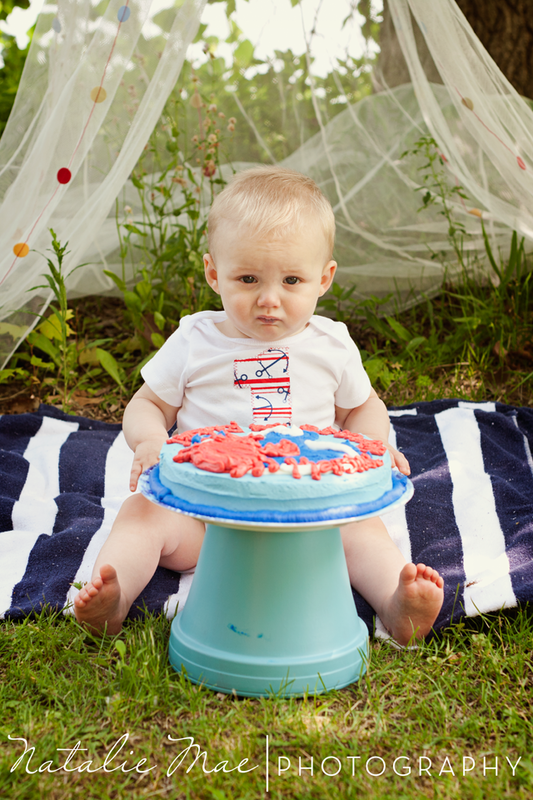 And despite the poor guy not feeling the greatest, we got some really cute images of his special day. How cute are they?! 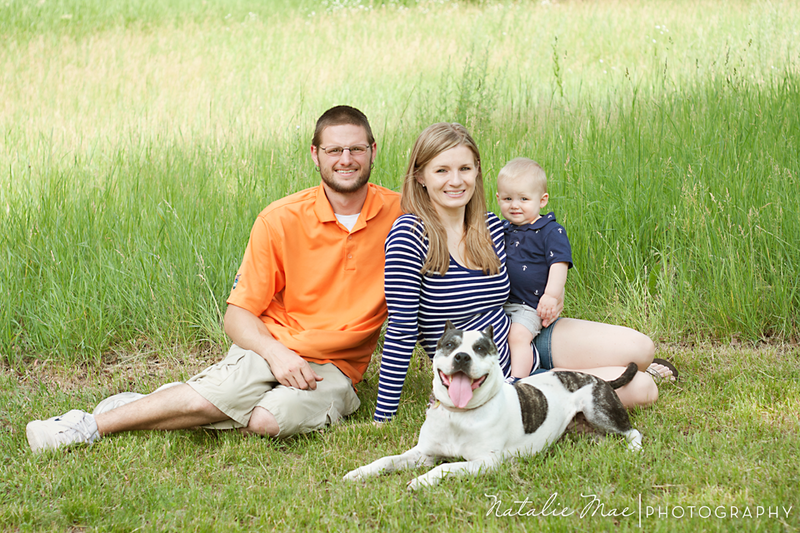 Everyone is smiling, even the dog! Isn’t that cake just fabulous? One of my incredibly crafty brides made it based of a photo I sent her. I had her make two just in case there were tweaks that needed to be made I wanted to make sure all the bugs were worked out ahead of time. When she brought over the first cake I was seriously impressed, I knew she was creative, but that blew me out of the water (hahaha no pun intended). 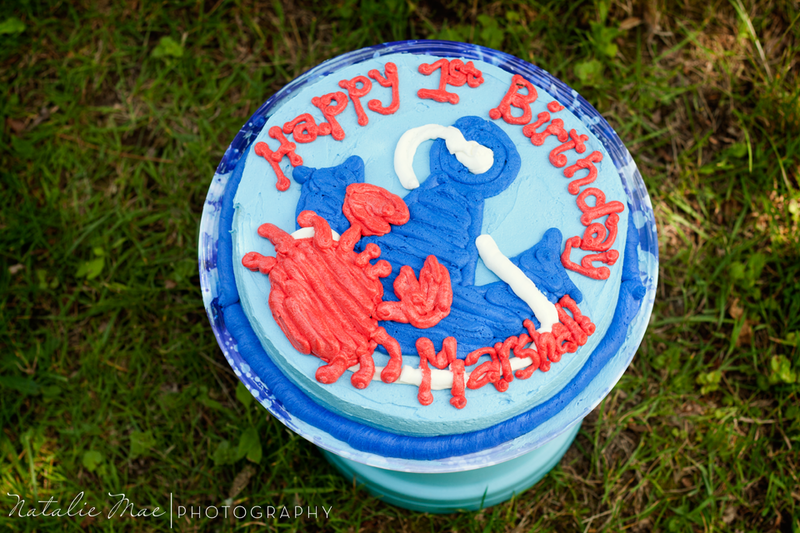 Marshall was a little unsure about what to do with such a big cake all to himself. But he eventually got the hang of it. How dare his sister eat any of his cake!! 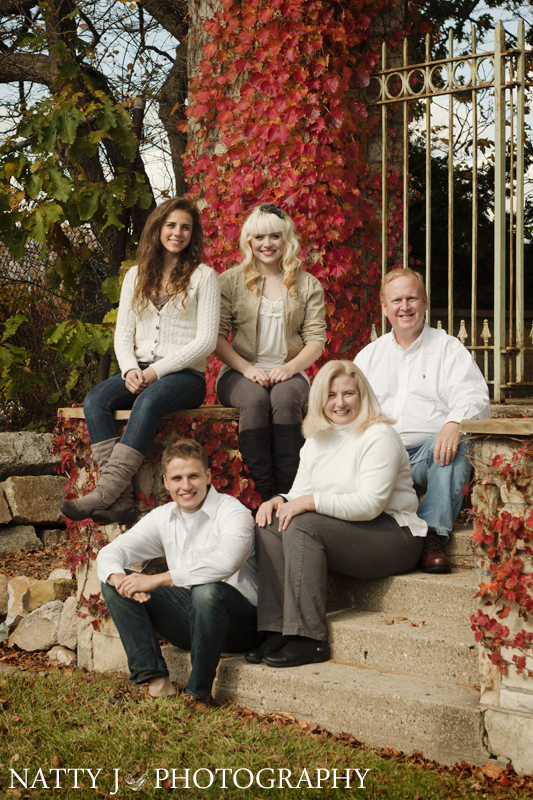 Meet Tina and her awesome family! I had the pleasure of connecting with Tina through a Craigslist ad I posted looking for a web coder. We got together and talked for a few hours about what I wanted to do with my website and how she wanted updated family portraits, in the end we worked out a pretty sweet trade. 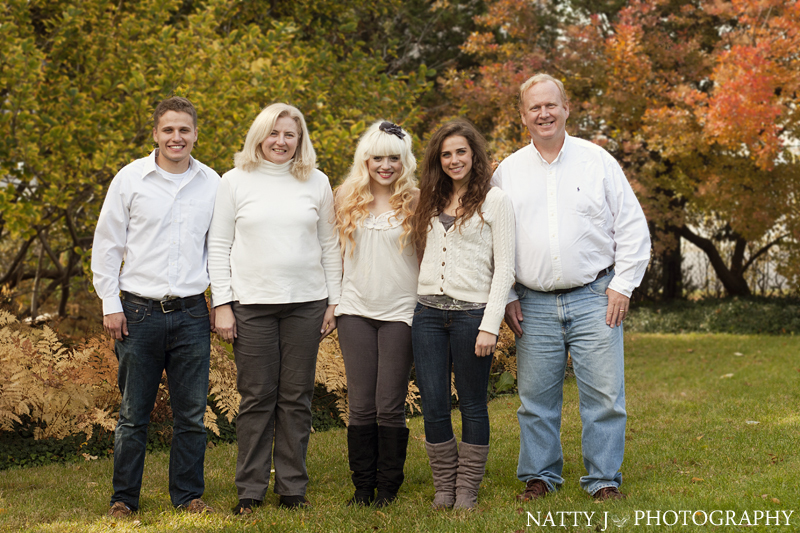 Her children attend school at Michigan State University and we decided somewhere on or near campus would be a great place to do the photos. These were at Cooley Gardens, which I had never been to before, and was pleasantly surprised when the place was gorgeous!! I love the little hidden treasures that are nestled around the city; Cooley Gardens is located right off of I-496 and I would have never thought there would be an awesome garden there. Michigan threatened rain, but once again it turned out to be a gorgeous day and the rain held off until later in the afternoon. Just because it’s fall doesn’t mean that you can’t dress your little ones in some really colorful and playful outfits. All these you can toss a sweater over or add some leggings so they don’t get chilly. I just love this play on the primary print colors (cyan, magenta, yellow, & black). So what are you waiting for? 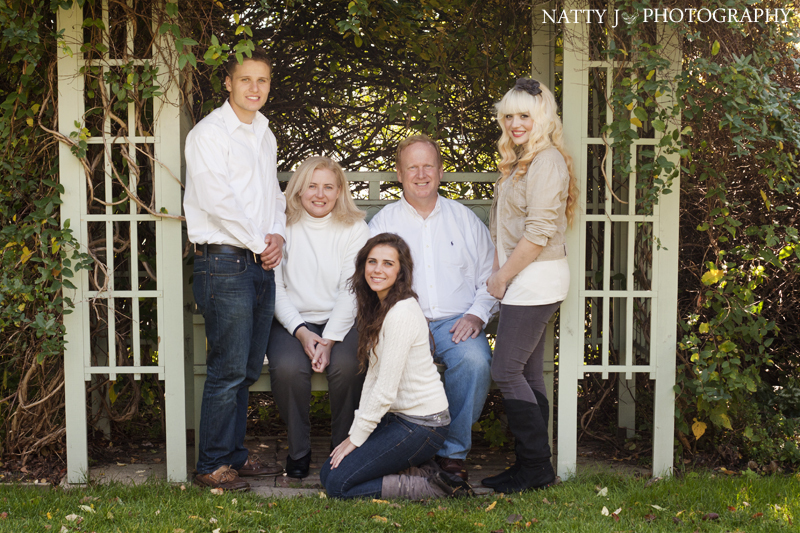 Call to book a portrait session for the little girly girl in your life. Now I don’t expect anyone to rush out and buy these items, but they’re great for giving you ideas of how to put together a portrait wardrobe. 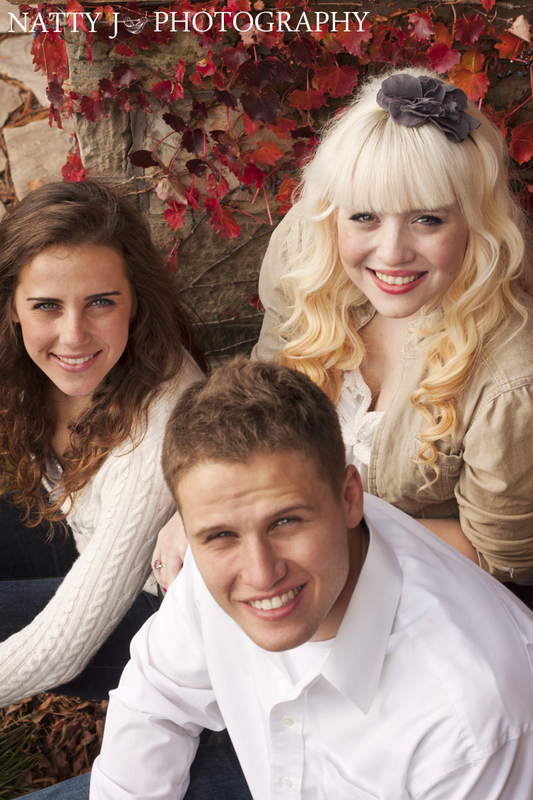 This fall there are tons of local events going on that are great and don’t cost too much money. I’ve made it easy on everyone and complied a list of just a few of those, feel free to add an event you know about in the comments! So get out there and enjoy the gorgeous weather while it lasts, winter is just around the corner. 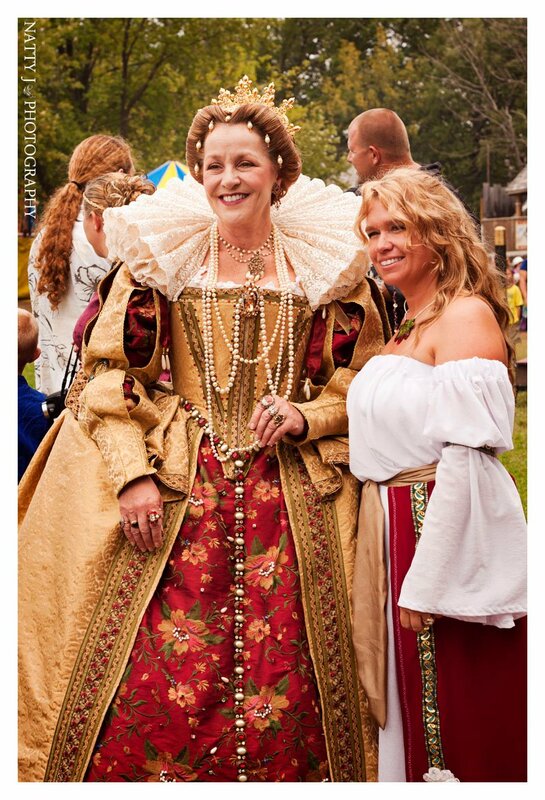 Until September 30th the Michigan Renaissance Festival will be open on Saturdays and Sundays from 10a-7p. I go every year (usually I dress up in a full wenches dress!) and have an absolute blast! They’ve got amazing food and various handmade crafts. People come from all over the country to partake in the festival and dress up in some amazingly elaborate costumes. I was lucky enough to get a photo of the Queen from last year after the jousting match. Check out the detail in her dress!! The Fall Family Festival is happening September 21-23 behind the St. John Elementary/Jackson Catholic Middle School on Cooper St. The best part about it, is there’s no admission fee, free parking, and TONS of fun to be had. 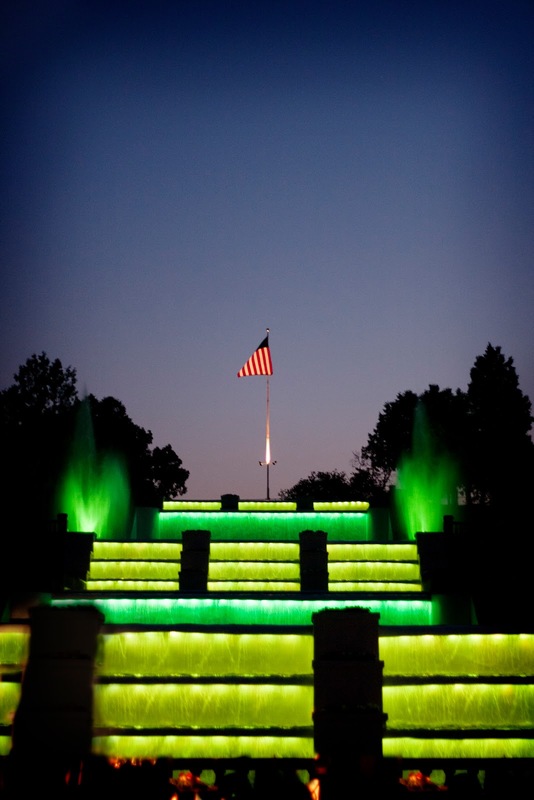 Carnival rides, fireworks, and a car show are just some of the events going on that weekend. I’ve been in the past and had a great time, I definitely recommend going! Flavor Fruit Farms is open all week long from 9a-6p, and they have something for everyone to do. They open up their fall activities on September 17th from 12p-5p. Some of the fun includes a corn maze, hay rides, live farm, pumpkin patch, and so much more! This year on September 29 & 30th they’re going “purple” in support of Relay for Life and the weekend of October 12 & 13th they’re going “pink” to support Making Strides. 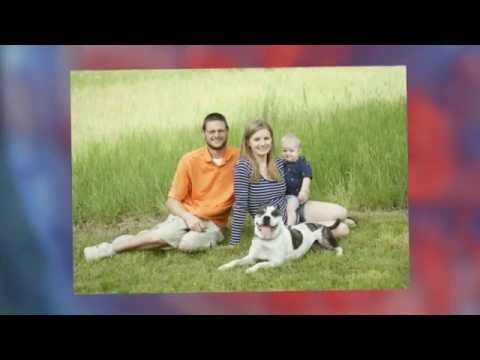 Two really great causes to help out while having fun with the family. 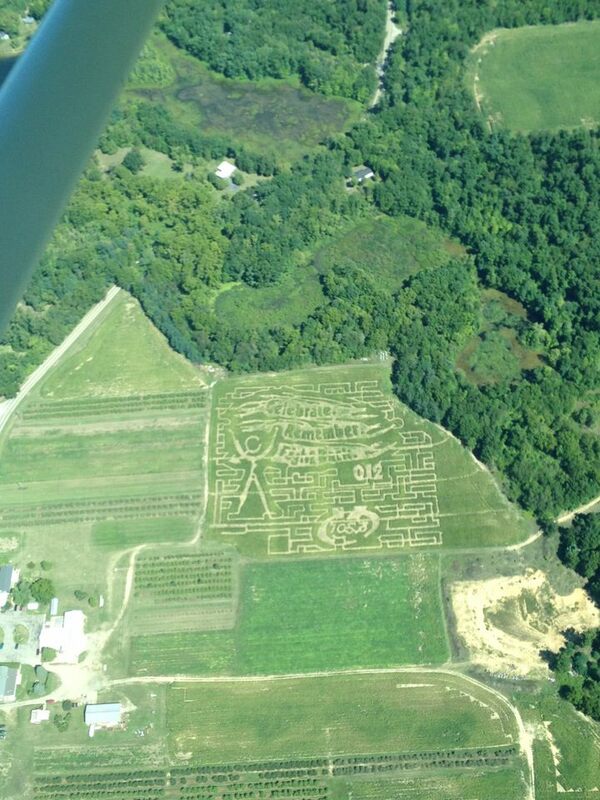 Flavor Fruit Farms was even cool enough to turn the corn maze into the Relay for Life logo! Still not convinced? Maple Bacon Donuts…three little words that will change your life, how can anything get better than that?! Did you know Jackson has it’s own Zombie Walk?! Me either! It’s happening on October 13th downtown Jackson, registration is $10 and will help support the March of Dimes. The registration for zombies will be at 4:30p at Biggby Coffee on Wisner. I couldn’t find out too many details as their still working out the kinks, but I know I will be taking photos of everyone and their scary makeup as they hobble the streets of Jackson.